Die casting is a manufacturing process that involves production of geometrically complex parts using molten metal and reusable die casts. A simple and highly cost-effective process, die casting has been one of the most important reasons for the industrial revolution. In this manufacturing process, a die casting design is first created based on the size, shape and function of the final produced part. After the design is created, the non-ferrous metal perfect for the procedure will be chosen. The properties of the metal will be taken into serious consideration as it will affect the design and construction of the finished die casting parts. As with all manufacturing processes, sometimes there may be errors and defects in the die castings, which will ultimately affect the final product. 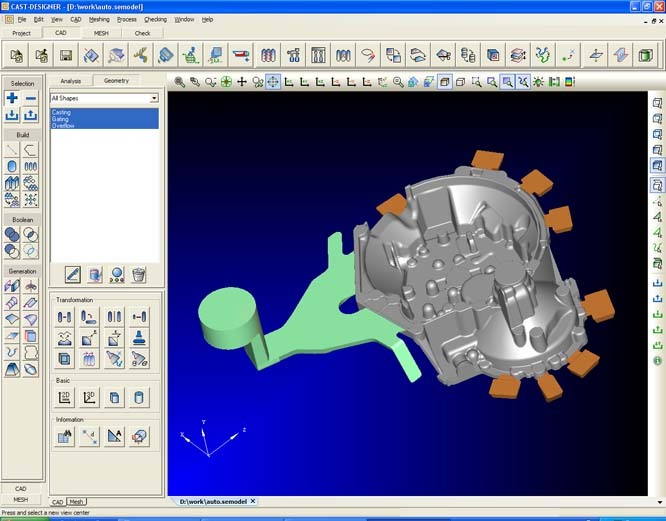 Some of the defects that could be seen in the die casting design are explained in this blog. When the molten metal is poured into the cast at high pressure, there are chances for bubbles to appear in die castings. This defect appears if the injection temperature of the metal is too high above the standard levels. Another reason is the un-uniform cooling rate of the molten metal. If the metal is injected into the cast with a very high pressure or if the clamp pressure of the cast is too low, the molten metal will overflow and solidify outside the cast. In most cases, a thin layer of metal will solidify and cover the parting line, which will make it difficult to open the cast to release the product. If proper care is not taken during the die casting design process, then there could be hindrances in the cast that will not allow proper flow of the molten metal. In such cases there may be unfilled sections in the cast. So, the final product will not be what is exactly required. The other reasons for the appearance of the unfilled sections include slow injection, low temperature of the molten metal when it is poured and insufficient shot volume. In all these conditions, the flow of the liquid metal is reduced, and will not completely fill all the sections of the cast. During the aluminium die casting process, if the ejection force of the liquid metal is very high, it could create ejector marks. These defects happen because the force of the molten metal pushes out a part of the mould. So, the mould will change shape, and so will your finished product.